Cannabidiol (CBD) is a natural occurring compound found in Cannabis. It is the second-most abundant compound in the plant,(after THC). Unlike THC however, this compound is non-psychoactive, meaning it does not make you high. 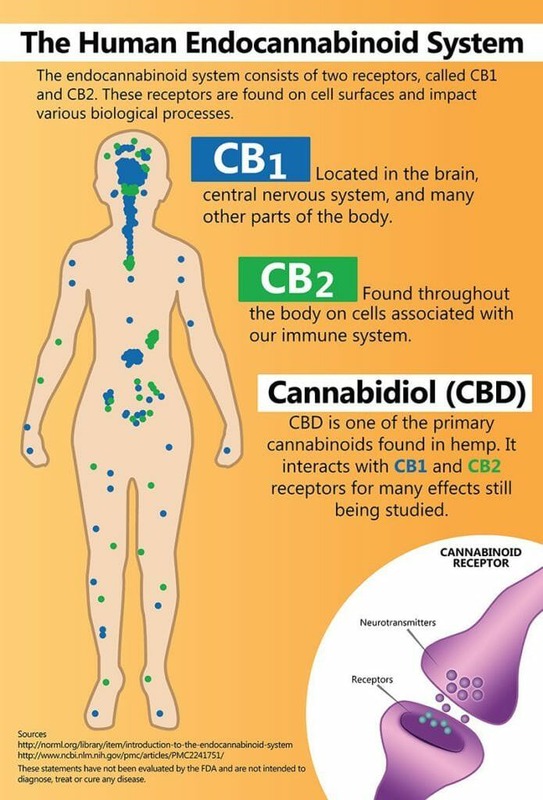 Many studies and consumers have shown that CBD has remarkable therapeutic benefits for a variety of health challenges. CBD Oil is cannabis oil that has large amounts of cannabidiol in it. Because the Music City Hemp Store sells CBD oil with less than 0.3% THC, these products are completely legal and provide the health benefits of cannabidiol without the high associated with consuming THC in marijuana products. CBD oil is produced from the flowers, leaves, and stalks of the Cannabis Sativa plant and has tremendous anti-inflammatory properties. CBD, especially in the form of CBD oil & pain cream, is bringing hope & healing to millions of people across the planet. While not FDA approved, concentrated CBD oil has shown to be effective for many folks to mitigate heath challenges including anxiety, insomnia, arthritis, epilepsy, Crohn’s Disease, PTSD, Parkinson’s Disease, depression, diabetes, asthma, psoriasis, glaucoma and many other common conditions…without unwanted side effects. Simply stated, CBD is a naturally occurring healing compound that is an excellent & cost effective supplement that aids in human beings health & general well-being. Its use is legal & accepted in all 50 states. The statements made regarding these products have not been evaluated by the Food and Drug Administration. The efficacy of these products has not been confirmed by FDA-approved research. Use these products responsibly and at your own risk. These products are not intended to diagnose, treat, cure or prevent any disease.The Music City Hemp Store does not sell or distribute any products that are in violation of the United States Controlled Substance Act (US CSA).